And to understand the 9th Amendment we must understand the debate that produced it. The debate was over the incorporation of the Bill of Rights into our Constitution. It was Hamilton’s belief that the Constitution was very clear as to the limitation of powers for the Federal Government. 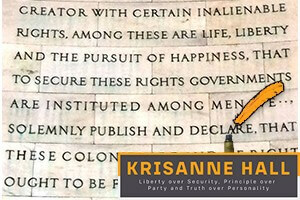 His greatest fear was that by incorporating a “list” of rights, it would provide those in power the opportunity to spread tyranny and liberty through interpretation and regulation. In other words he is saying that those in power would see the enumerated list of rights as areas that the branches of government must define and regulate – else why would they be listed? In the end James Madison felt he had the solution to this problem. Madison, when speaking of the “last clause of the fourth resolution,” was referring to what we now know as the 9th Amendment. He was telling all of those who were not comfortable in ratifying Bills of Rights, that the 9th Amendment would solve all those problems. Madison believed that specifically stating that the Bills of Rights do not in any way give the government more power than was already given and reaffirming that these rights belong to the PEOPLE and not the government, would create a barrier of protection against encroachment of these important rights belonging to the people. The key to the 10th Amendment is understanding that our Founders went out of their way to make sure it was abundantly clear that the Rights enumerated belong to the PEOPLE and not to the Government – neither State nor federal. So when the 10th Amendment says, The powers not delegated to the United States by the Constitution, nor prohibited by it to the States, are reserved to the States respectively, or to the people, our founders were NOT creating three separate seats of power in the United States: the Feds, the States, and the People. They were saying, in conjunction with the 9thAmendment, hey United States, hey States, these rights belong to the PEOPLE through the States. The founders never intended for the States to disparage these rights, any more than they intended the Federal government of the United States to disparage them. As a matter of fact, the Declaration of Independence makes this point as a primary focus for the creation of all government, principally applied to the States from the beginning. If a State could have power to eliminate the right of its citizens to bear arms, the objective of maintaining a free State would be defeated and that State would become a tyrant over its people and the “Right to Life and Liberty” are destroyed. Our founders never intended for the States to have the ability to violate someone’s free speech, right to religious liberty, or takes someone’s person, property or life without due process, else the States again, would be the tyrant over its people. While there are many things, in fact most things, that the States should legislate, there are certain inalienable rights that cannot under our Constitution be legislated away. Life is not something that should be legislated away. Life is an inalienable right the State was established to SECURE that Right. The truth that this right begins at conception is a biological fact. This fact was not “overturned” by science in Roe v. Wade, but by manipulation of facts through law. If real science had been used and not legal manipulation, denying life in the womb at conception would have failed. The argument of viability, as established by Roe, is based upon the argument that if you remove the fetus from the womb at a certain point, that fetus (or if you prefer those cells) would die and therefore was not alive and not a person. Logically speaking, by admitting that this life will die implies that it was alive at some point. Using this same logic to determine that life never existed does not hold up in science either. There are many single celled organisms that will only survive on a particular growth medium. You will be hard pressed to find a microbiologist tell you that these organisms were never alive, because they failed to live outside their nutrient rich medium. Additionally, by the very definition of abortion, you must admit life exists at the time of abortion. You cannot abort an action that has never begun. Therefore, Roe is not only unconstitutional, but logically and scientifically unsound. Even the judge in Roe admitted if it would be established in court that life began at an earlier stage, this life would have rights. This error is not a matter of science, but a matter of incompetent legal argument. Finally, to use the 10thAmendment as an excuse to deprive someone of life is a misapplication of Constitutional principles. Our Declaration of Independence and Constitution are both very clear as to the founder’s understanding of the right to Life. If we do not have life, we have neither Liberty, nor an opportunity to pursue happiness. In fact, our founders repeatedly declared that they were pledging life, fortune and sacred honor for “ages and millions yet unborn.” It is clear, by their own words, the founders of our America believed the rights of the unborn were worth dying for. Abortion is not a State issue as assigned by the 10th Amendment, nor is it a “social” issue not to be discussed; it is that very matter of Life, Liberty, and Pursuit of Happiness upon which our Constitution is based. A State cannot adopt laws to eliminate free speech and cannot pass laws to legalize murder and the 10th Amendment cannot be used to justify abortion. To claim to be a Constitutionalist and say the 10th Amendment permits a State to legalize abortion is to misunderstand the Constitution and the 10th Amendment itself. Some would use the same Constitutional argument against the death penalty. Just like abortion, one may be morally opposed to the death penalty, but there is a difference in these two issues from a Constitutional perspective. You have the ability to forfeit your Liberty, through the application of due process, by committing a capital offense. Abortion, however, is sentencing someone to death who has committed no crime, without due process. We must remember that Liberty is not only freedom, but freedom fettered by morality. Some “social” issues that touch on morality are a matter of Constitutional relevance, and are essential to maintaining Liberty. Sadly, we live in a society that increasingly believes, as Suhas Sreedhar, 26, an engineer working in a computer company in Manhattan who States in a USA Today article,“God? Purpose? You don’t need an opinion on those things to function.” You do, however, need to have an opinion of these things to maintain Liberty. A State that does not SECURE it’s citizens’ RIGHT to LIFE is failing to fulfil the entire purpose for its creation. 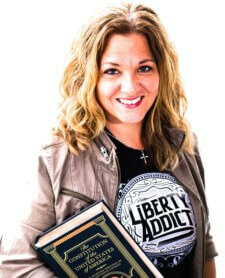 The above article and republished article (The Inalienable Right To Life) was contributed to TLB Project by friend/author KrisAnne Hall, and was originally published on KrisAnneHall.com.